What do you remember about buying your first watch? And I’m not talking about that digital, quartz, or sub-$1,000 automatic you picked out at the mall... I mean your first timepiece; the one that stretched - or broke - your budget and led you down the rabbit hole that is the watch world. If you bought that kind of watch in the last five years, my guess is you probably didn’t jump the gun. Marcus has always been a sharp dresser. To this day his style icon remains Ralph Lauren and the Polo look he popularized: The logo emblazoned button-down shirts and v-neck sweaters a lot of young men wore to school and donned in family portraits. But Marcus didn't come of age like the models in an RL campaign. He grew up on Chicago's West Side, in the late '80s and early '90s, where the dress code was jeans and hoodies - not preppy, sartorial menswear. He may not have worn the uniform of his neighborhood, but he fit in nonetheless. Thanks to his outgoing personality, Marcus made a lot of friends, all of whom came to respect his individuality - as a person and as a fashionisto. Marcus's reputation preceded him and led him to a gig as a personal stylist. And just like fashion changes with the season, Marcus's wardrobe and lifestyle goals became more sophisticated as he progressed in his career. Besides noticing the colors, patterns, and textures of his client's garments, he astutely picked up on their entire manner of dress, including the watches they wore, such as Rolex, Audemars Piguet, and Hublot. Months after his flirtation with a Panerai, Marcus ran into an older gentleman who was wearing a corduroy suit. This dapper fellow also happened to be sporting a Panerai. In this man, Marcus saw an older version of himself - fashion-wise: A debonair man, whose aura radiated from spit-shined shoes and a fine fragrance, but also from a timepiece with a presence - one that embodied his character and life aspirations. For many years Marcus struggled with this dilemma. Then he earned a job promotion, which landed him in New York, where the cost of living was a lot more than his native Chicago. Marcus found himself needing to put more of his paycheck toward bills. The unintended consequence of this new financial plan was that he simplified his lifestyle, which included wearing more of the clothes that he already had. Marcus got comfortable wearing his classic looks; breathing new life into his wardrobe with a snazzy new tie or a new pair of funky socks, rather than buying a whole new suit. Speaking of accessories, every time he turned around - whether at work or while traveling on vacation - he mentally tallied all the major watches he saw draped on people's wrists: Young or old, man or woman, it literally seemed like everyone - except him - had a killer watch. For a guy who prides himself on being part of the in-crowd, he felt left out. By his estimation, he was overdue to join the club. So, he made the decision to get one; made all the more easier by the fact that he was crushing it at work and had miraculously managed to save money - from living more responsibly. If there was ever a time in his life to treat himself to a special watch, this was the time; he deserved it. He narrowed his decision down to a Panerai or Rolex. 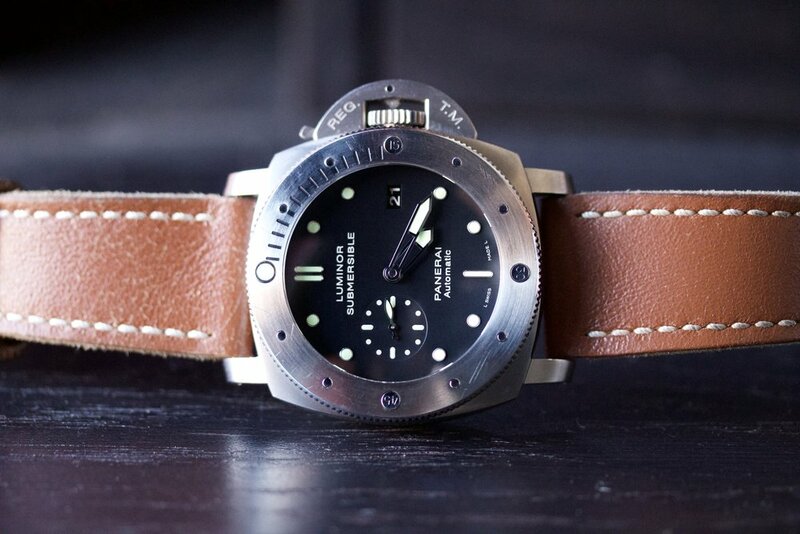 Staying true to his identity as guy who moves to his own beat, he went with a Panerai. Granted a lot of people wear a Panerai today, but compared to all the Rolex models he noticed musicians and businessmen wear - A PAM is in the minority. 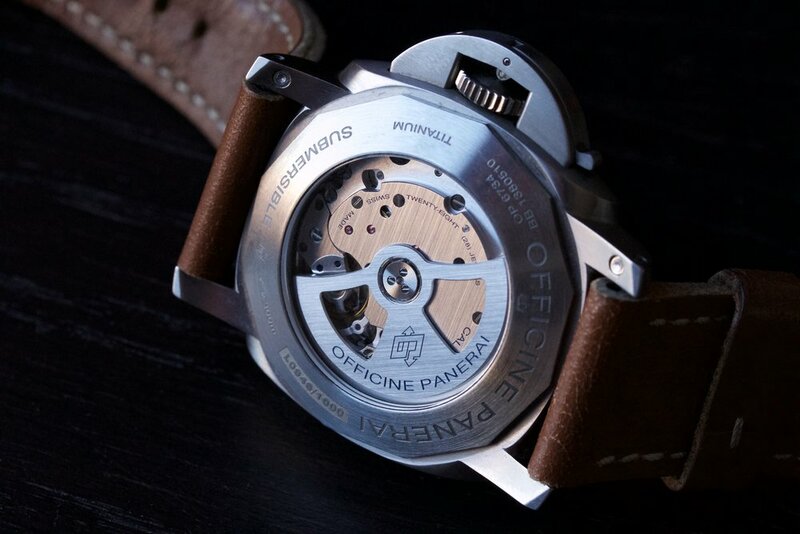 Plus a Panerai allowed him the option to swap straps to coordinate with his outfit - a feature he was down with. Most people cut back on Starbucks to save up for something they want. For Marcus, it wasn't lattes that were the problem, it was all those designer labels he thought he couldn't live without. Time and time again he bought clothes as a way of compensating - subconsciously - for the missing watch in his wardrobe. He could've owned a Panerai a lot sooner - and paid a lot less - had he appreciated what he does now: The clothes that were already in his closet. It's not like he didn't understand the value of timeless design. After all, he still owns - and wears - a few Polo pieces from his high school and college days.